Consumers are so excited for the Japanese housewares retailer that they now need reservations to shop in its pop-up store from Jan. 27 to Feb. 28. Vancouver resident Anthony Casey has never shopped at Muji, the Japanese houseware store known for its smart designs and unbranded merchandise. So, he was excited to learn that the store was opening a pop-up location at the Fairmont Pacific Rim from Jan. 27 until Feb. 28. And, he's not alone in that excitement. The retailer said response to the news of its temporary store has been so "extraordinary" it had to create system for shoppers to reserve a set time to be in the store. 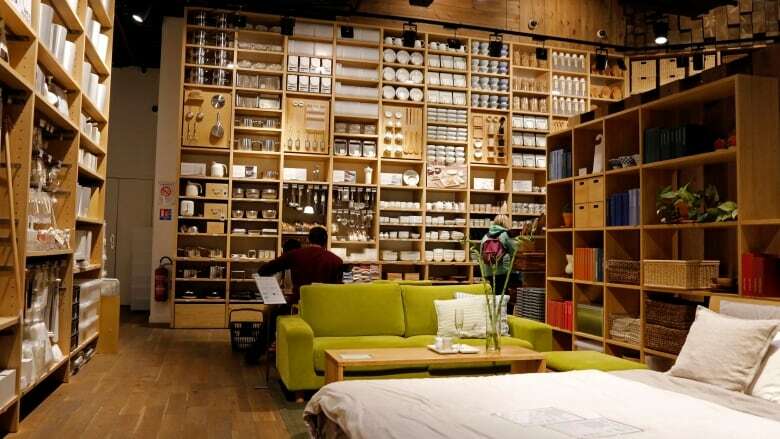 Muji decided on a mandatory registration process where shoppers sign-up for a 15-minute shopping window. "There will be no access to the pop-up store without a reservation," reads the store's registration page. "We are a small shop and would like to create a beautiful experience for everyone, so thank you for helping us achieve that!" Casey signed-up to shop even though he wasn't impressed by the whole process. "It's a nice minimalist store but I'm sure I could get whatever is going to be there down at Army and Navy," said the 31-year-old. "It's really just the hype for going." The policy isn't proving popular with shocked shoppers, who are taking to social media to voice their surprise. On Facebook, Sylvia Cheung called it "a little ridiculous." "Think I'll pass until my next trip to Asia where I don't have to reserve to get in a store. #mujifail." Although apparently unpopular, the system hasn't stopped shoppers from registering in droves. Early release tickets for some time slots are already sold out. Organizers say regular reservations will begin, Jan. 25. Casey says the 20 minutes it took him to register will be "totally worth it" for what he laughingly calls the "social equity" of the experience. "I'm going to get a good Instagram photo out of it and make a few people envious."